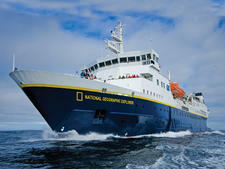 Built in 2005 as Via Australis for Chilean-based Cruceros Australis, National Geographic Endeavour II was purchased, renamed and heavily refitted (to the tune of $10 million) by Lindblad Expeditions-National Geographic in 2016. Capable of carrying 96 passengers and a crew of 63, it is one of the largest ships in the Galapagos Islands, where regulations cap the number of passengers to just 100. 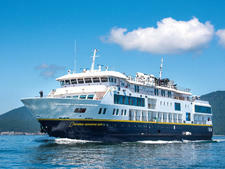 One of two Lindblad-operated ships sailing year-round in the Galapagos (the other being the 48-passenger catamaran, National Geographic Islander), National Geographic Endeavour II distinguishes itself with a bright, airy and modern look, both inside and out. A small ship that feels decidedly roomy, it is large enough to offer multiple public rooms and plenty of outdoor deck space -- something that many smaller vessels plying the waters of the Galapagos Islands lack. Window-lined public rooms are tastefully decorated with soft blues, earth tones and polished woods, and the ship's relatively petite 236-foot length means that nothing is ever far from reach. National Geographic Endeavour II replaced the much-loved (but obviously ageing) National Geographic Endeavour, which has since been retired. It's a tough act to follow, but National Geographic Endeavour II is a great ship for first-time cruisers and experienced sailors alike, all of whom are drawn to the ship for a single reason: the magical experiences that await on the Galapagos Islands. 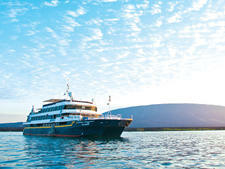 Having one of the largest ships in the Galapagos lets Lindblad really roll out the amenities. Onboard, you'll find everything from Wi-Fi internet access to laundry service, and fun toys for exploration that include kayaks, a fleet of inflatable landing craft and even a glass-bottom boat. Service onboard is friendly, casual and caring. The ship's crew hail primarily from Ecuador and are eager to show off their country to their passengers. There's nothing overly formal or stuffy about the service, and that works perfectly well with the casual, easygoing atmosphere onboard. 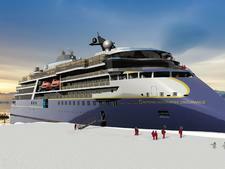 Like most expedition vessels, those looking for clattering casinos or Vegas-style revues will be disappointed; the chief entertainment here consists of lectures, hikes through the wilderness and the company of your fellow passengers, maybe over a cocktail under the stars. In some ways, National Geographic Endeavour II is designed to take a backseat to the splendor of the Galapagos Islands, but make no mistake about it: how you sail these islands matters. Lindblad's expeditions in the Galapagos attract primarily North Americans who are well-educated, successful and curious about the world. 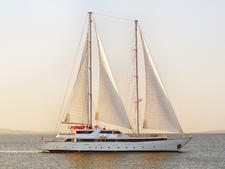 The line's pricing is favorable to solo travelers onboard Endeavor II, with dedicated solo categories available. The average age ranges from late 30s to early 80s for most couples, and the overall mood is outgoing and convivial. Despite the high price tag, these cruises attract a large proportion of families traveling with children, particularly during spring break, summer vacation and over the winter holidays. On our sailing, more than 20 children were onboard, most of whom were under the age of 12. 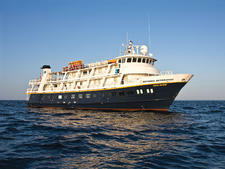 Lindblad offers a $500 reduction in price for children under the age of 18. Dress is casual throughout the day. Expedition gear is common during the daytime, and shorts and T-shirts are perfectly acceptable during the evenings, though many cruisers will clean up a little for the evening recap briefings, cocktail hour and dinner. Bug spray, good hiking boots, close-toed water shoes and sunscreen are all must-haves in the Galapagos. Moisture-wicking pants and expedition shirts are also a good idea, particularly those that have been sun-treated. Lindblad Expeditions provides passengers with a complimentary logo-brand ball cap as part of their pre-cruise documentation. 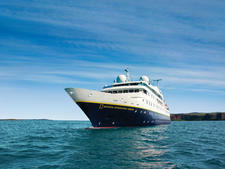 Voyages aboard National Geographic Endeavour II cover all shore excursions, including outings aboard the ship's motorized, inflatable skiffs; guided hikes; kayaking; stand-up paddleboarding and snorkelling. Complimentary snorkel gear and wet suits are provided, along with walking poles to assist on hikes. Those who need prescription snorkeling masks will want to bring their own. All nonalcoholic beverages are included in the fare. These include specialty coffees, water, juices and soft drinks, which can be acquired from the bar or from a cooler in the ship's main lounge. 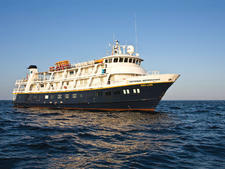 Unlike some Lindblad Expeditions ships, beer, wine and spirits are not included in the fare aboard National Geographic Endeavour II -- but this isn't going to break the bank. Ecuadorian beers are available for $4 per bottle, with craft beers from the Galapagos Islands offered for $7. Wine by the glass runs between $8 and $9, and bottles can be purchased for about $30. Cocktails can be had for around $8, while a cooler in the lounge offers bottled beers for purchase on an honor system. A 12 percent government tax and 10 percent service charge are added to all bar purchases. 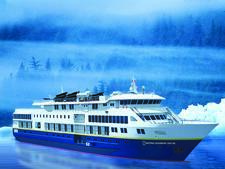 In 2019, Lindblad will begin including alcoholic beverages (except for premium brands) aboard National Geographic Endeavour II, along with an hour of free Wi-Fi internet access. Gratuities ($180 recommended per person, per week) and onboard bar and gift shop purchases are tallied at the end of the voyage and can be paid in cash, by credit card or with personal checks if drawn from a U.S. bank. Airfare to and from Guayaquil, Ecuador must be purchased at an additional cost, along with internal flights from Guayaquil to the Galapagos. Internal airfares must be ticketed through Lindblad Expeditions and start from $520 per person for adults and $260 for children. 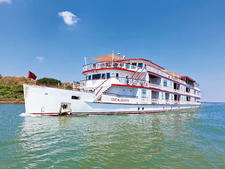 A pre- and post-cruise stay at the Hilton Colon hotel near Guayaquil's Jose Joaquin de Olmedo International Airport is included for all National Geographic Endeavour II expeditions. Passengers who book their international airfare through Lindblad Expeditions are entitled to complimentary transfers to the hotel; otherwise, a shuttle can be called from the Hilton. The use of taxis, private or public, in Guayaquil is discouraged due to security incidents relating to kidnapping and robbery.